Without having lived through it, war is an almost impossible thing to imagine. Even harder, is trying to imagine what war was like in the early 1900s. Journey’s End attempts to take the audience there, into one of the trenches, during March of 1918. 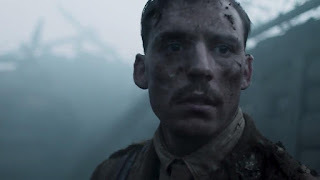 The film follows the lives of English soldiers who are on the front lines in France, waiting for that moment when the Germans are going to attack. World War I is into its fourth year with the English and Germans holding positions in the trenches of Northern France. Each English company of soldiers serve in the trenches six consecutive days of each month. There are rumors that the Germans are mobilizing and planning an attack, but the question is, which company will be the unlucky ones to be on the front lines when that attack finally comes? Raleigh (Asa Butterfield), is a young officer who has just finished training. He is excited about his first assignment – he has not seen the horrors of war and cannot truly contemplate what he is signing up for. 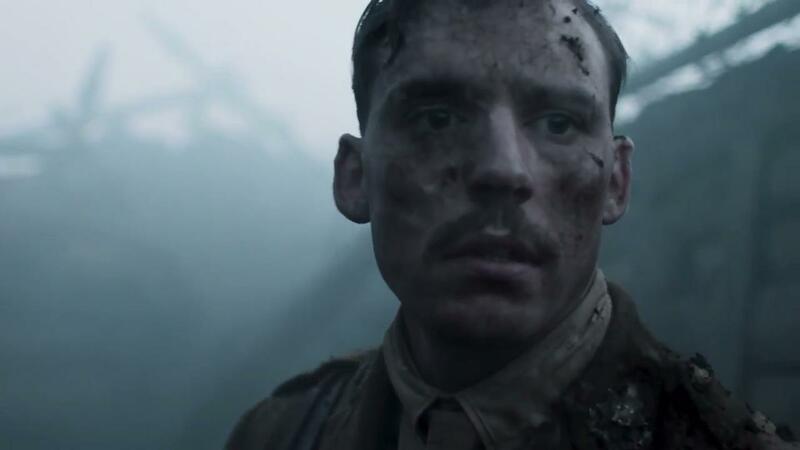 Raleigh’s only desire is to serve in the same company as his old school house monitor, Captain Stanhope (Sam Claflin). Not only is Stanhope Raleigh’s old school house monitor, he is also the love of Raleigh’s older sister Margaret (Rose Reade). Raleigh is a powerful General’s nephew and, ignoring his uncle’s warnings, convinces the General to pull some strings to get Raleigh assigned to Stanhope’s company. Unfortunately, war has changed Stanhope and Raleigh will soon see this first hand. Stanhope is now a drunk, using alcohol as a crutch to try and deal with everything that he has lived through during the war. Raleigh builds a bond with a different officer, Osborne (Paul Bettany) – who takes Raleigh under his wing. In addition to Osborne, Raleigh spends time getting to know the other officers in the company - Trotter (Stephen Graham) and Hibbert (Tom Sturridge) - as well as the company's cook Mason (Toby Jones). Some of these men have been affected by the war more than others, and Raleigh gets a look at how these different men have been coping with what they have all gone through. None of them seem as affected as Stanhope... yet despite all of the anger and alcoholism from him, Raleigh still views him as the finest officer in the whole battalion, who just happens to be tired from all of the responsibilities placed upon him. 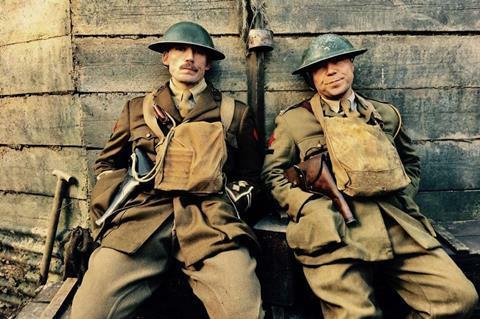 Journey’s End focuses on the mental side of war. Writer Simon Reade, who wrote the screenplay based on the play by R.C. Sherriff, creates a tense environment and shows the negative effects of war through the character’s dialogue and actions rather than through graphically violent war scenes. Director Saul Dibb does a masterful job shooting the film, primarily in the close quarters found within the trenches. His shots cause the audience to get a glimpse of the feeling of claustrophobia that the soldiers felt within the trenches. We see the soldiers mentally and physically cracking under the threat of impending doom, the fear that at any moment they would be thrown into a firefight against a seemingly unbeatable foe. All around them is death and destruction. The vegetation that surrounds them is dead from poisonous gasses being used and they must always remain crouched when outside the bunker – to avoid the risk of an enemy sniper shooting anyone that absentmindedly lifts their head high enough. Journey’s End is full of strong performances from its lead actors and successfully transports the audience into a war torn atmosphere. For those seeking a war movie without too much blood and gore, this film hits the mark. However Journey’s End has enough strong dialogue and acting to keep even those that are more visually oriented entertained as well.